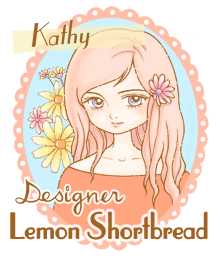 Today's design team project was created for Lemon Shortbread Digital Stamps using the Toadstool Princess digi stamp. Many of Vera's images are so whimsical and this little princess is no exception! 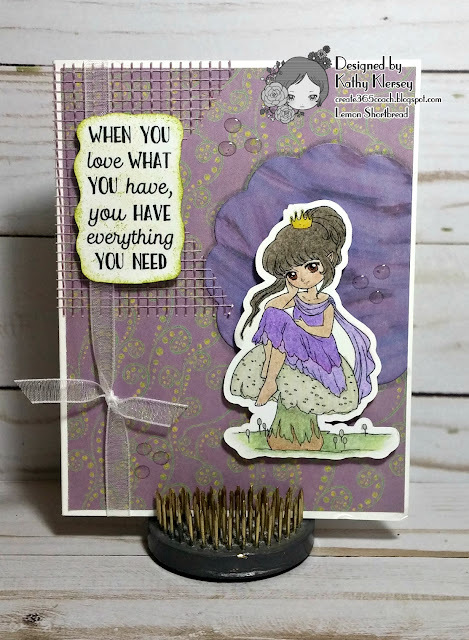 I will be entering her @ Paper Nest Dolls for "May Challenge", @ Star Stampz for "Hand Colored Image", @ Craft Rocket Challenges for " Use Embellishments", @ Dragonfly Dreams for "Here Come the Girls" and @ Dream Valley Challenge for "Add Ribbon and/or Lace". Since purple and green are my two favorite colors, I really enjoyed coloring her up with my colored pencils. 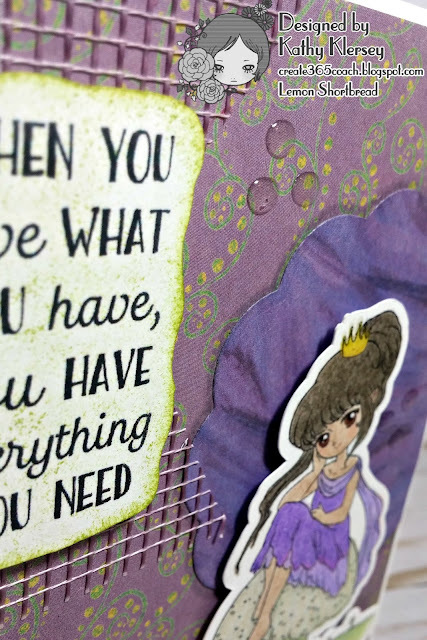 I chose the background papers to compliment along with my embellishments. Once again, my Scan N Cut machine came through and did the fussy cutting for me beautifully!